It is getting cold outside and the enthusiasm and energy that you once had in the summer may slowly be draining away. However, it is still possible to keep your exercise regime up and that positive attitude flowing as the nights get longer and the days get colder. Here are some top tips to keep you motivated as the winter chill sets in. As the days get shorter you may find that you do not have the energy to exercise in the evening as the sky darkens. Therefore it is important that you plan your day ahead and make sure that you are ready to head to the gym or even your martial arts class straight after work. It can be hard getting up and out of your nice warm, comfortable couch and heading into the cold darkness. By doing this you can avoid any excuse or excuses that you may have. Although exercising outdoors is a great way to work out, you can still get a great workout by staying indoors. 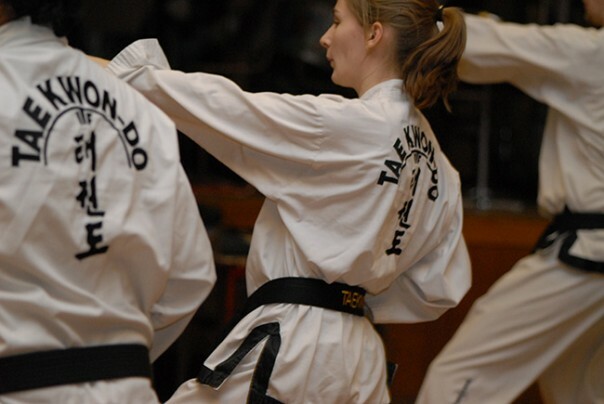 Most martial arts classes at Palcic Taekwondo are held in-doors meaning you don’t have to go outside into the bitter wind. So as the temperatures drop you can always be sure that you are keeping fit and sticking to your programme. By following a set programme you can ensure that you are motivated and are being kept on track. Palcic Taekwondo offers martial arts and taekwondo classes on a weekly basis so that you can keep at it and make some progress. This way you can avoid excuses such as ‘it’s too cold’ or ‘I’m too tired’ as you have a commitment. This is arguably the most important tip that I have mentioned. It is a well-known fact that if you enjoy the activity you are doing, then you are more likely to keep it up. During the winter months doing something that you enjoy will help to keep you motivated and ensure you don’t turn into a coach potato. Make sure you find an activity that you enjoy and one that gets your blood pumping!